Location. Very central to bars and restaurants and the beach. Supermarkets just around the corner. Breakfast was fine good selection of food Antonio made all the difference he was so Friendly and polite playing music around the Bar gave the place some atmosphere, otherwise It would have been very boring. Unfortunately though he closed the bar at between 5.30 and 6.00 every day so if you were still around the Pool the place became like a ghost town at one of the nicest parts of the day. Location was excellent. 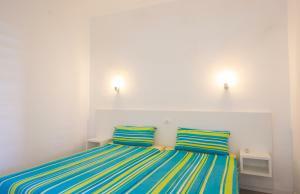 Accommodation was clean, modern with comfortable beds. 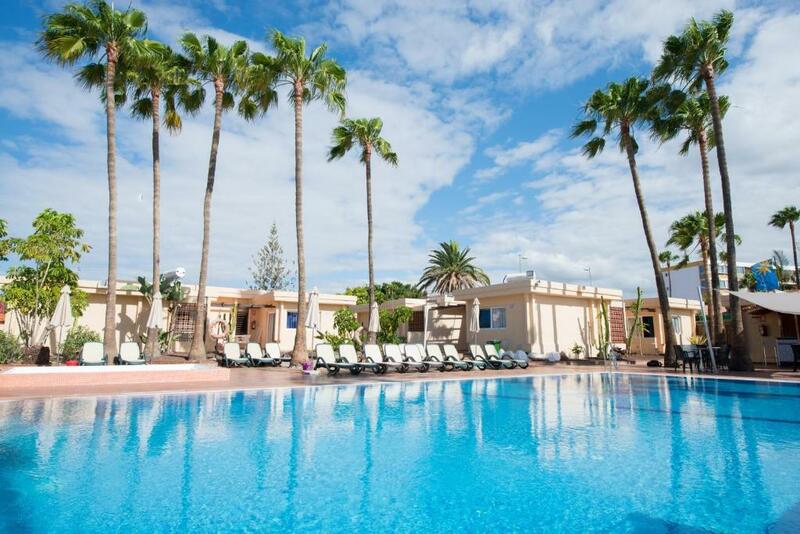 Everything you require for a self-catering holiday was here including a guide book for the area. Could not fault these bungalow's. 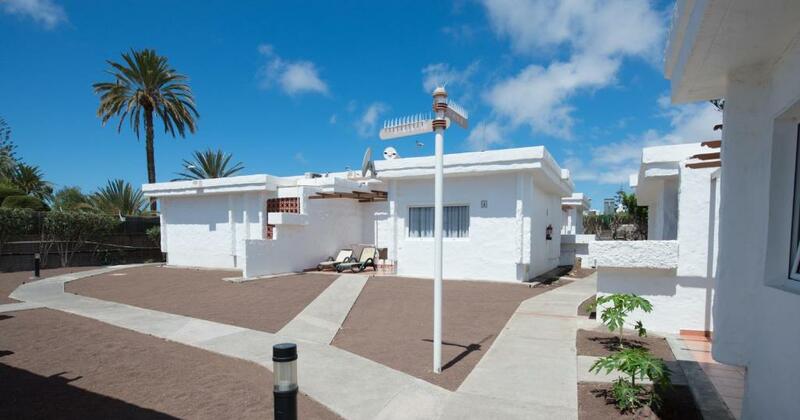 Excellent location, very central, to beach, shops, restaurants, bars. Entrance secured by gate. Small complex so did not have to walk far to accommodation. Very clean and friendly staff. The location of sun village is great, easy to go to the beach and bus stop just around the corner. Barman was great and very smart! Great location for the Yumbo centre. Property was clean and well maintained. Bungalows well equipped for a short stay. Modern clean bungalow a few mins walk from Yumbo. Would stay again. Lock in a great price for Sunny Village – rated 8.1 by recent guests! 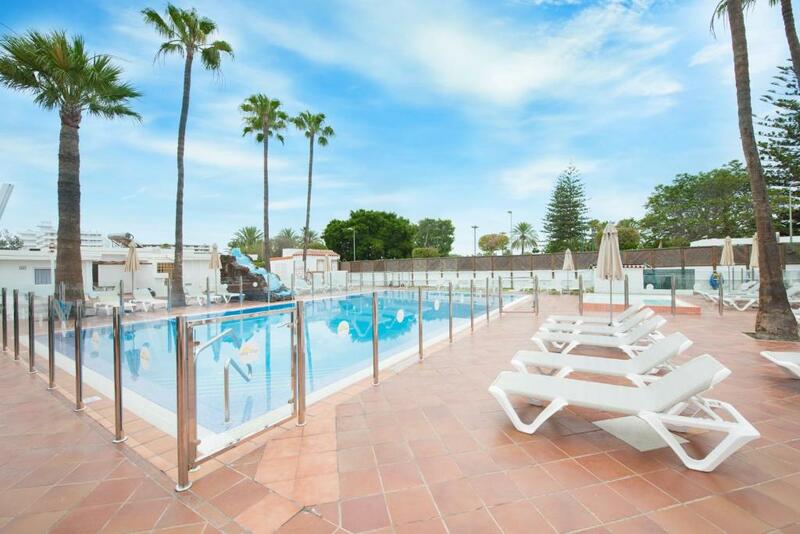 Sunny Village This rating is a reflection of how the property compares to the industry standard when it comes to price, facilities and services available. It's based on a self-evaluation by the property. Use this rating to help choose your stay! 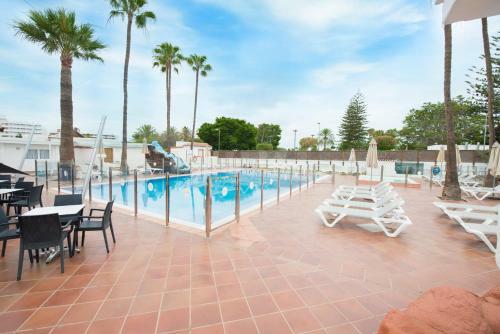 Located in Playa del Ingles, Sunny Village offers an outdoor pool. This self-catering accommodations features WiFi. The property is 350 feet from Yumbo Center and 2,950 feet from Maspalomas Beach. The apartment will provide you with a balcony, a seating area and satellite channels.There is a full a kitchenette with a refrigerator. Private bathroom also comes with a shower. 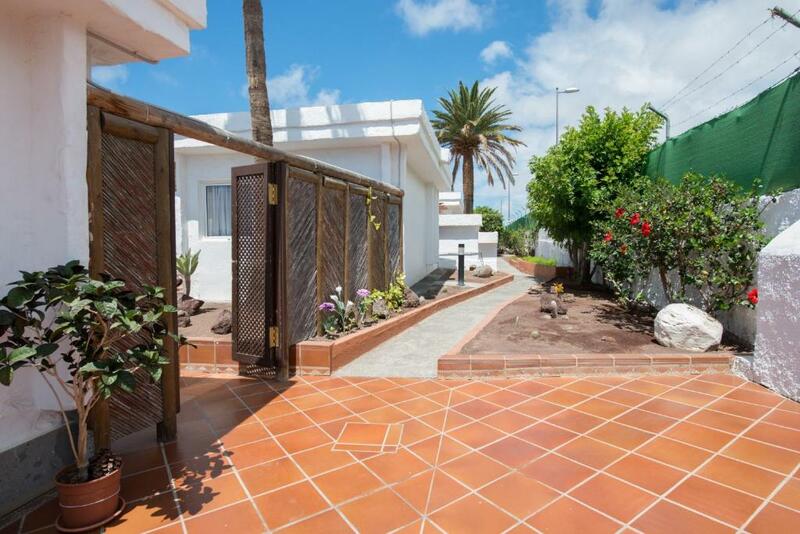 At Sunny Village you will find a garden, a terrace and a bar. Set in a garden, the Sunny Village has a poolside bar. Here you can have breakfast, or enjoy a drink or snack. There is also a hot tub and chill out area next to the pool. When would you like to stay at Sunny Village? Wired internet is available in all areas and costs EUR 6 per 24 hours. House Rules Sunny Village takes special requests – add in the next step! 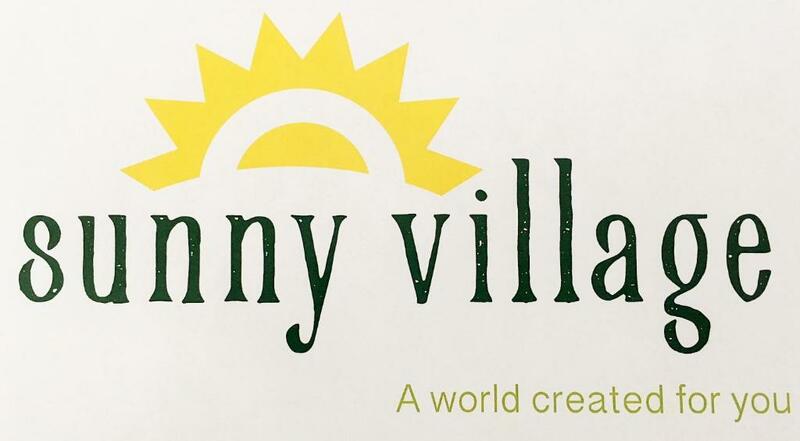 Sunny Village accepts these cards and reserves the right to temporarily hold an amount prior to arrival. Reception is located at 29, Avenida Estados Unidos, and is open daily from 08:00 until 20:00. Please note WiFi carries an extra charge and it is available at reception. Please note that visitors are not allowed in the complex or the facilities. Please note that the use of the air conditioning incurs an additional charge. Please inform Sunny Village of your expected arrival time in advance. You can use the Special Requests box when booking, or contact the property directly using the contact details in your confirmation. Very basic kitchen equipment. Having to keep going to reception to ask for a cork screw, hair dryer, iron etc. Although I liked Sunny Village I did not think it value for money. Chalet clean but basic. Decided not to pay the extra charge for internet. Have never been asked to pay extra for this service anywhere else I have stayed. Breakfast was average but was nice to be served breakfast outside by the pool. Room was a little cold and there was no control to turn on the air conditioner. RECEPTION: closed Tuesday & Thursday then another day (can’t remember actual day) but then was open in the evening instead. BUNGALOW 18: Bedroom - only one power socket. Wardrobe hanging rail extremely high. Duvet & Pillow cases need replacing as faded and worn. Kitchen: Two Slice Toaster only toasts one side in both sections. Distinct lack of power sockets to run kettle, toaster, coffee machine, microwave at same time. No chopping board to prepare food on (which would protect worktops) no vegetable knife, only a bread knife in the drawer. Freezer section with no freezer door thus the ice build up in the compartment making it difficult to store food bought. Bathroom: Shower - Serious lack of drainage from shower with very small lip to prevent water flooding bathroom floor. Mould on tiles and poor attention to detail on chrome work, with a lot of rust. Sink - Too large sink that wastes water when trying to wet shave leaving it very shallow. Extraction of steam - non existent. Really cheap and nasty waste bin in bathroom which is hard to get to due to the overly sized sink. Overall Bungalow: Power - Not enough wall power sockets for the modern day traveller. Drying area behind bathroom - not enough ventilation with the smell of sewerage running through the bungalow - had to buy air fresheners and block the gap at the bottom of the doors. Television - Only Sky News TV channel available for British... with 60 channels available but only one British. IPTV boxes would be a great addition and subscription on the island is only €21 per month each bungalow for all British channels. Also extremely petty that you request a €10 deposit for a tv remote when spending €520 for the week on accommodation. Also - no ironing board in bungalow and when needed, reception was closed. It was dirty, overpriced and quite depressing. The furniture was uncomfortable and everything...the tv, internet, safe and air in was extra. Don’t stay here. Daily towel change would have been nice.